Namaste, Hello, Bonjour, hallo, Ciao, Hola!! Are you looking for a private driver with car or a voiture avec chauffeur? My name is Kuber. I have been working as a private chauffeur serving guests from all over Europe for more than 10 years now. I have my own car- Swift Dzire which can accommodate 2-3 persons. During my working years, I have traveled to all cities in Rajasthan including Shekhawati, Bikaner, Jaisalmer, Jodhpur, Udaipur, Jaipur and Pushkar. I have also gone to all oof beat places like Narlai, Jojawar, Kesroli, Manvar, Devigarh, Bhainsrorgarh and Dholpur. I like my profession very much and like meeting new people and learning from them. I take very good care of my guests during the trip. I am not involved in pushing for commission and shopping during the trip and my guest like this very much. I can help you with finding guides at monuments, buying tickets for monuments and recommending best places to visit and local markets to buy souvenirs. You can avail my services any time. Please check in advance my availability. Once confirmed I make sure to be reserved and available for you except any unforeseen situation. Chauffeuradvisor.com is a good partner helping me as a platform to find guests for me. I am associated with it due to fare practices and helpful to us. 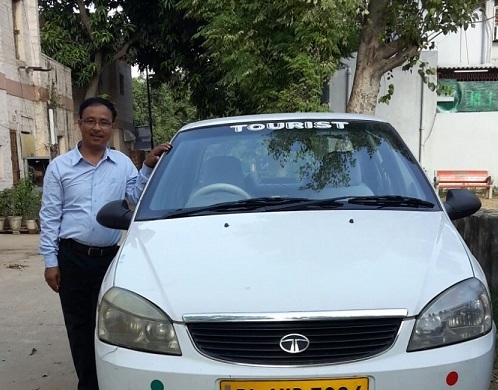 I look forward to become your private driver with car for a memorable India Trip.